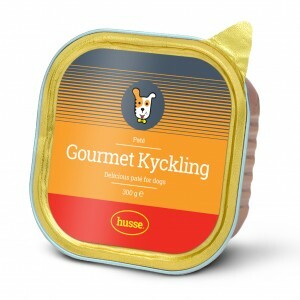 Gourmet Kyckling is pâté with chicken for adult dogs with normal activity levels. It is made with selected high quality ingredients. Free from colourants and preservatives. 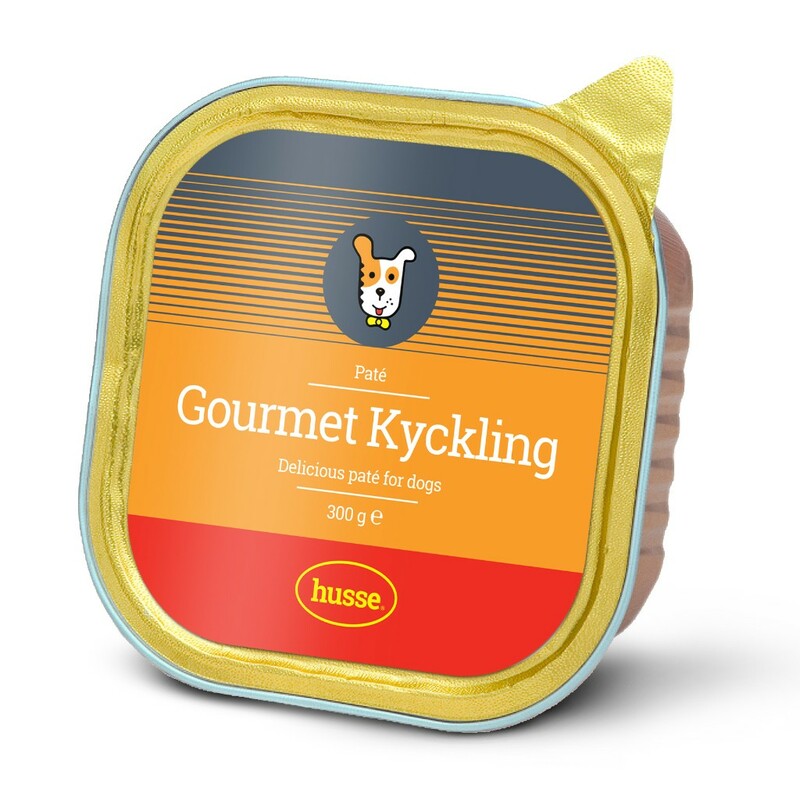 High quality proteins, good vitamin integration and good digestibility make Gourmet a healthy meal for your dog. For an adult dog, in normal activity, provide in 1 or 2 meals per day, see feeding table. Keep open tin refrigerated (max. + 4° C) and use within 2 days. fresh meat and meat-by-products 80% (of which chicken 6%), minerals, vitamins. ADDITIVES: Technological additives: densi­fiers and jellifying agents.